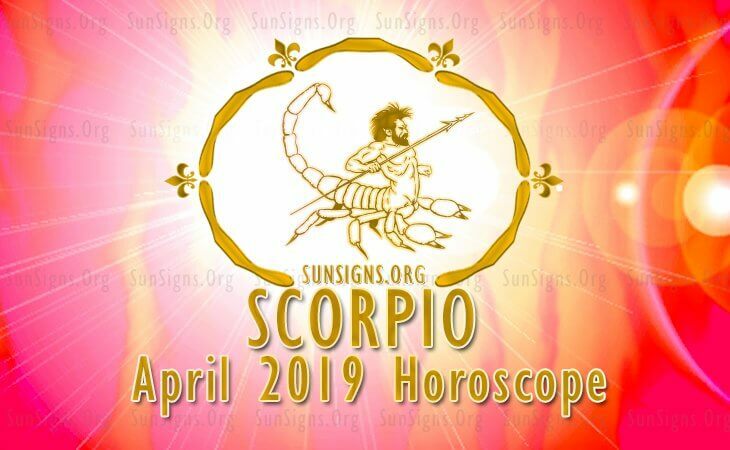 Scorpio April 2019 horoscope reveals that this month lots of your concentration will be in building your status, emotional status as well as your family’s well-being. The Scorpio personality will strengthen their social circle, and they will be considering other people’s interests just as they believe in theirs. Scorpio zodiac sign will have to put their career development and personal success aside at this moment. Based on the Scorpio horoscope 2019, you will have an extra blooming love life, and your relationship with your spouse will be as exciting as your social relationship. You will get into relationships at places of work as well as your social circle. Scorpio pregnancy will occur due to the closeness between you and your spouse at this graceful moment. Scorpio April 2019 predictions reveal that your family will enjoy peace and harmony this month. This is because the stars are aligned in your favor. Laughter and joy will be the only things that will be emanating from your home. Scorpio pregnancy will come about at this time due to the loving environment. According to the Scorpio April 2019 horoscope, you will have great sparkling health. The Scorpio sun sign will have to play it right by subjecting the excess work they have to their minors to help them achieve a more stable health status. Based on horoscope 2019, you will have an added advantage at your workplace since you will be blessed with an extra focus on your profession. Scorpio sun sign will make considerable developments in their professional fields. Scorpio astrological predictions April 2019 foretell that you will be much innovative this month and engage in various ventures which will be a total success. Your financial status will be far much more stable. As per the April astrology 2019 forecast, a dull spell follows you this month when it comes to education. Scorpio star sign will be unsuccessful in educational pursuits hence you will need to put more effort into whatever you do to achieve success. April 2019 Scorpio horoscope reveals that the dame fortune is not on your side this month when it comes to successful journeys. The better solution this month is to get rid of the travel plans you have by postponing or suspending them. See also love horoscope 2019.